I want to thank all of you who have been following my switch to the ketogenic diet for the past several months here and on Facebook and Instagram. If you're new to my site, back in September my oldest son was diagnosed with Type 1 Diabetes. It came out of nowhere and surprised us all. In the time since his diagnosis I've learned just exactly how much I didn't know about T1D and how much I thought I knew is incorrect. As it turns out, the typical age for diagnosis as T1D is the late teen years (my son was 18) and not early childhood. T1D isn't usually inherited; researchers have isolated a strain of Enterovirus, an extremely common childhood illness, which attacks the pancreas and they are now formulating a vaccine for those lucky enough not to have contracted the illness yet. Eating whatever you want and flooding the body with insulin is not a good way to treat T1D; insulin can cause hangover symptoms just like alcohol and when taken in excess can kill you, just like alcohol. It is far more advisable to follow a ketogenic diet that keeps blood sugar levels stable and reduces the need for mealtime insulin. Do any of these statements surprise you? They sure as hell shocked me! I'm a researcher at heart and I've read everything I can find about Type 1 Diabetes and all the newest trials and studies since my son's diagnosis. It led me to put the entire family on the ketogenic diet. 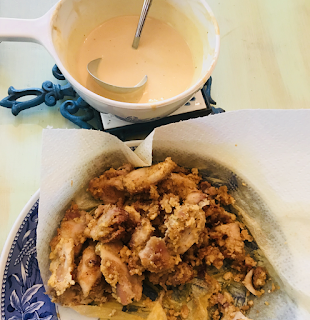 Even though my son attends college, I didn't want to have to cook separate foods for him when he was home and I didn't want everyone eating stuff he couldn't have, and quite frankly, the more I read the more I could see the ketogenic diet is by far a healthier diet than we had been following and may prevent the rest of us from developing Type 2 Diabetes, heart disease, and other inflammatory conditions so common in America. I won't lie, when I put us on Keto I sincerely hoped it would help me lose weight. When I became pregnant with the very same oldest son I started gaining weight like crazy and for no apparent reason. Dieting didn't help; I restricted food throughout my pregnancy and still gained about 50 pounds. When I became pregnant I was a size 4 with a 25 inch waist and at the very lowest range of my BMI so I had trouble getting doctors to pay attention. "Just eat less," they would say, when I was already restricting myself to 1000 calories or fewer per day. After my son's birth I developed a host of "female" problems that lasted for 15 years and which none of the plethora of doctors I saw could explain. Thankfully, when my son was 15 I discovered essential oils and found one in particular, Young Living's Progessence Plus, that solved my female hormonal problems in ONE month. After 15 years of visiting different doctors, 4 drops a day of this oil fixed me in one month! That is when I became to passionate about essential oils, and Young Living oils in particular. Sadly, I still couldn't solve my weight problem. The photo on the left (above) was taken in February of 2017. At the time I was following what I thought was the Keto diet with intermittent fasting and very strenuous exercise, after the advice of a website I found on Pinterest. I was actually just starving myself and working out way too much. When I saw that photo I switched to a vegan plan and actually gained another 15 pounds or so while also giving myself IBS symptoms. There are no photos of me after that; I made myself scarce or hid behind other people. I was terribly depressed and felt horrible, exhausted all the time. Neighbors would always comment on how much they saw me out walking (I was walking 7-10 miles a day as well as lifting weights and doing aerobics) and I knew they were really wondering how much I could possibly be eating to still be so fat. The reality was I was starving myself and yet I couldn't lose weight. It was absolutely a horrible nightmare. When we got the call our son was in the ICU with his blood sugar over 700 it felt like the last nail in my coffin. I honestly didn't know how I would be able to pick myself up and keep moving forward. My research into treatment for my son's diabetes led me to discovering Dr. Jason Fung. His books, The Complete Guide To Fasting and The Obesity Code, threw me a lifeline and gave me hope I could improve not only my son's outcome but mine as well. Through Dr. Fung I discovered the Diet Doctor website, which has been another amazingly beneficial site for me. As you can see from my photos, Keto is working for me as nothing else has. 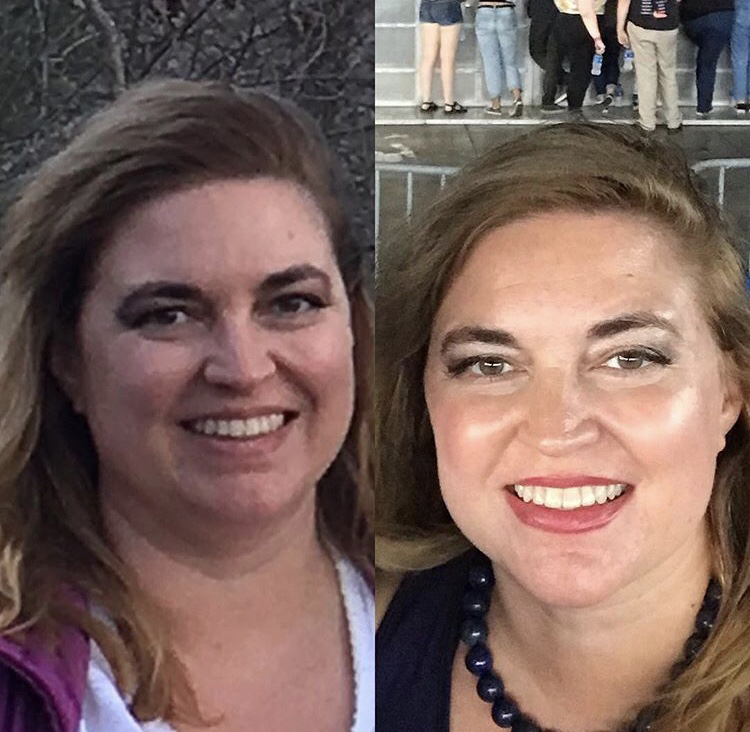 In the photos of my face, from February 2017 to July 2018 I actually weigh more in the "After" photo. 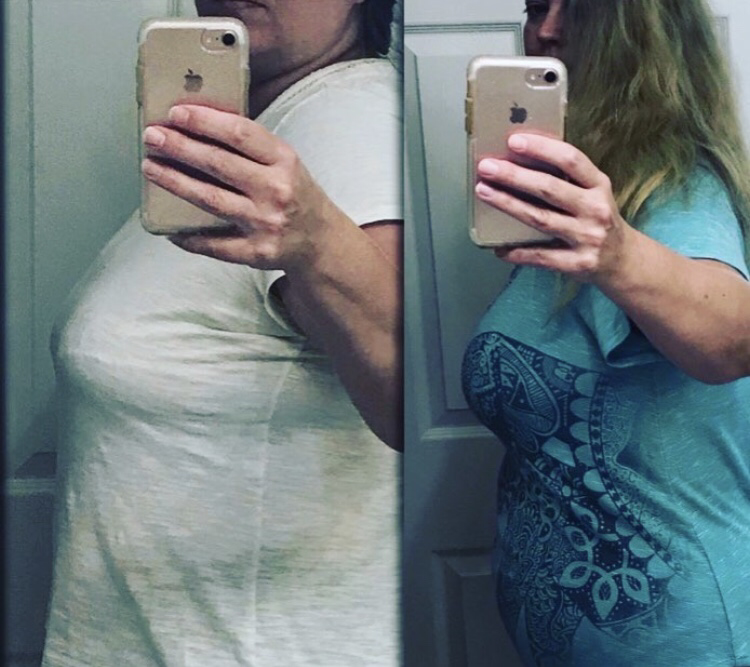 The photos of my torso above are from April 2018 on the left and July 2018 on the right. I am about five pounds lower in the "After" photo. Weight on the scale doesn't count for as much when you're following a ketogenic diet and you should track your progress with your measurements and photos instead. You will see people who lose a lot of weight very quickly doing Keto but I think they are probably healthier to begin with. After following starvation diets and strenuous exercise plans for my entire adult life and beyond (I started going to the gym with my mother and doing Slim Fast when I was 12) I had a severe Vitamin D deficiency and most likely extremely low bone density. I don't know because I could never get my doctor to test me. Even with Vitamin D levels that didn't register and a Nowegian genetic background (Norwegians have the highest rates of osteoporosis of anyone in the world) they still would just repeat their policy is they don't test before age 50. Thank God I discovered the ketogenic diet before then! I would probably have been a hunchback by age 50! Keto rebuilds your bone and connective tissue. These are heavier than fat. So if you've spent many years on fat-free and low fat diets or the processed and fast food SAD (the Standard American Diet), you will most likely need several months to repair your health before you will see significant weight loss. Dr. Fung explains this best, I think, when he says weight loss is a hormonal illness and yet we try to treat it with caloric intake. Does your body come with a calorie counter? No, it does not! The calories from sugary candy are totally different than the calories from grass-fed beef. Your body can't use GMOs or artificial flavors or hydrogenated fake butter, so those calories just get stored way in fat cells as your body tries to protect itself by isolating these unknown chemicals. If you focus on restoring your health by eating properly, fasting when you aren't hungry, and sleeping enough, I promise you will see results! Lately I've been running my SEVEN online stores, enjoying summer with my kids, swimming, working in my garden, keeping up with my housework, creating new Keto recipes, and even learning to ride a mountain bike. I've read four books in the past two weeks. I still have a really long way to go, don't get me wrong, but my health and mood and just my enjoyment of life are so much better than they were. I have hope for the future now, which I did not for many months. I no longer feel like sleeping all day. I can see from the photos how much my health outcome has improved. I used to carry most of my weight in my neck, chest, and abdomen. Visceral abdominal fat is one of the greatest indicators for heart disease and the fat releases hormones that harm your organs. I'm very pleased to have lost so much weight from the area around my heart! Besides the ketogenic diet I feel like my oils have also been helping me with my weight loss. I actually formulated my Tighten Up blend as a breast reduction tool. If you've been following my blog for a long time you know how much I suffered as a teen when I was already in a D cup bra size at age 13. Over the years it just got worse and worse. And yes, I know there are women who get breast augmentation because they want larger breasts, but personally I think they're crazy. My neck and shoulders hurt all the time just a few months ago, and I have to special-order bras online because no local stores carry a G or H cup with a relatively small 38 band size. 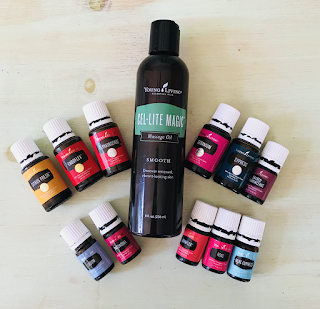 The oils I used in my blend are all oils that help reduce bloating, support the liver, help flush the lymphatic system, and improve skin tone and tightness, and in the case of frankincense, prevent and treat breast cancer and other cancers. I apply this oil under my arms before I put on my deodorant so it creates a protective shield, because here in the South the natural deodorants just don't cut it. Even with all my weight loss my cup size has not gotten any smaller, and although that's been quite disappointing, I am happy to say it's as if I've gotten a breast lift. I've had permanent little sores under my arms since I was 13 from the underwire in my industrial strength bras digging in to my skin, but now I've completely switched to wire-free bralettes, Never in a million years did I think I could go without wires! I can wear little tank tops with built in shelf bras! For me this is amazing and life-changing. To go without some huge bra when it's 100 degrees out is just wonderful! Part of this is my discovery of Cosabella and their Curvy Sweetie line, which is specially made for women with large cup sizes compared to their band size but it's also definitely due to the oil (I'm not getting any compensation for recommending Cosabella; I just think they're wonderful!). I've started using it all over and I'm not seeing much sagging skin after weight loss, even being in my mid-40s! Make sure to apply it at night or if you use it during the day, cover up before going out because it WILL make your skin sun-sensitive. You can purchase the ingredients for this oil from the link on my website. Add essential oils to the Cel-Lite Magic massage oil. Close the lid and gently turn upside down and right side up while rubbing the bottle in between your palms. The heat from your hands helps the oils to blend. Massage for several minutes 1-2 times per day anywhere you want to see tighter, firmer skin. This oil is also wonderful as a bath oil and for use with ayurvedic dry-brushing. Make sure not to expose the areas to sunlight as you will burn very fast. 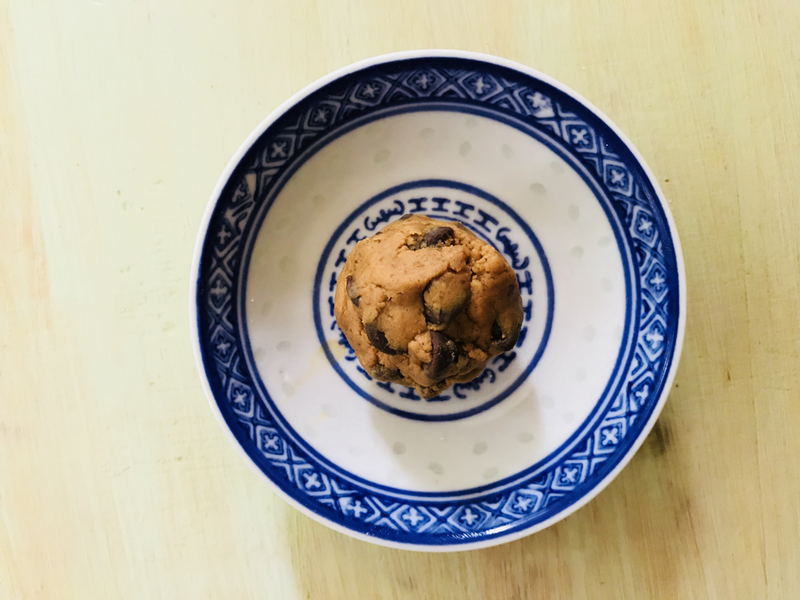 The other night I posted photos of my ketogenic Chick-Fil-A copycat nuggets with sauce and my edible low-carb peanut chocolate cookie dough balls and my Instagram followers were begging for the recipes. So I wrote them up and they are on the website, ready for you to cook! I hope you enjoy! I want to apologize sincerely to all my doll readers; I know it's been ages since I wrote any doll-related posts. I've been in kind of a funk lately. I haven't been able to find a manufacturer for my eyes. Although I have a large inventory of dolls to restore the ones I have finished haven't been selling much at all for years now, so it's not really worth it financially to spend my time restoring them. The things I enjoy are designing and making my own dolls and fashion and thrifting. I'm really good at making things and I have a good eye so I'm good at finding abandoned treasures. In fact, my biggest finds from my out of town thrift trip last month, the Wedgwood plate, ARTEL cowboy hat, and Peter Millar cashmere sweater vest, all already sold and provided a great return on investment. The problem is, I have so much inventory to list, from my kids' outgrown clothes and toys to a huge consignment lot I just got and another on the way, I can't really justify buying anything else. Our dining room has once again been taken over by inventory, so I need to move it, but I just can't seem to find the motivation. My oldest heads back to college in just a couple weeks, and then my younger kids will go back to school, and I've been focusing on spending the last bit of summer with them as much as possible. I'm considering just sending whatever I can off to thredUP and selling the other clothes in big lots. Even if I don't make as much profit it may be worth spending my time on something more enjoyable so I don't get burned out. In an attempt to wake up my doll sales I have an ad running online through Google Ad Words. Unfortunately, instead of increasing my sales it's mainly just turned up people wanting things from me. So far I've had many responses from people wanting me to purchase their marketing services (these messages in particular are ALWAYS misspelled... WHY would anyone want to buy marketing from people who don't even proofread their own marketing messages?! ), feature their product in my blog, or to buy their dolls. 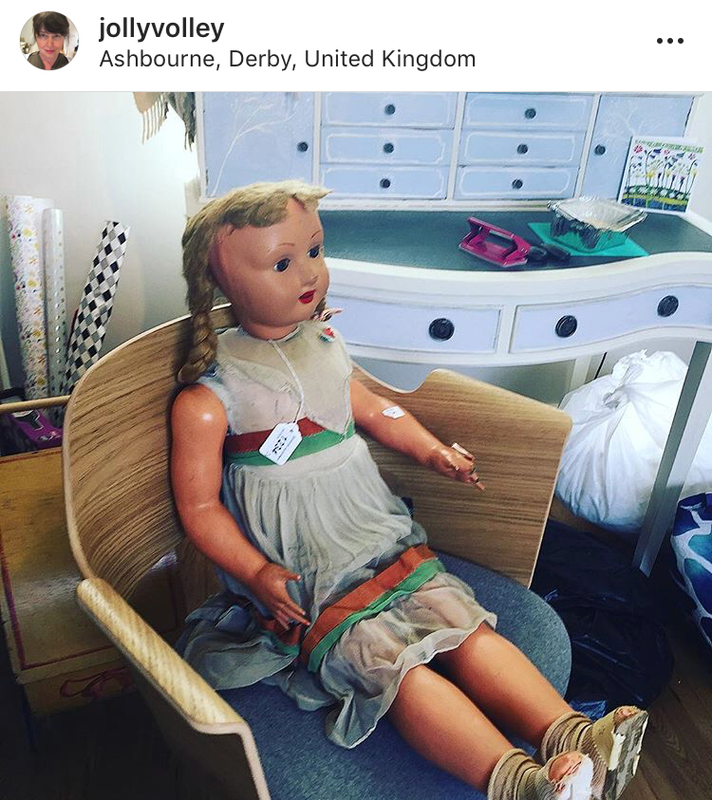 It's incredible the number of people who have monster collections of dolls, 3000 in one case, and then decide they don't want them. They want to sell them but they don't want to do it themselves, so they email me and beg me to buy them and when I tell them I don't have the money or the room they insist they don't want much for them. So after days of begging and pleading I will agree to view some photos. The dolls ALWAYS need restoration. And they are ALWAYS all the way across the country so shipping will be ridiculous. And then I make my offer and the people get mad and decide they aren't selling them to me. It's just such an enormous time waster for me. So, if you are considering emailing me and begging me to buy your dolls, just don't. PLEASE. I can assure you, if you bought your dolls prior to 2014 you paid too much to get your investment back in today's market and I don't have the space to keep thousands of dolls until the price rebounds, if it ever does. My ad did turn up one good thing: a new friend! Amanda Volley, of the Jolly Volley blog, featured me as an expert in her recent post about a walker doll she picked up. Her blog is wonderfully funny and well-written and I sincerely hope you will check it out. At the very least you can get the doll posts you desire until I get it together and start restoring dolls again. You can also find Jolly Volley on Instagram (the profile is shown above). I will soon begin my holiday trunk sets soon. Last year I sold out by the first week of December, so I'm trying to make more this year. At least it's good to know dolls are still popular in trunk sets, even if it takes a long time to make them!